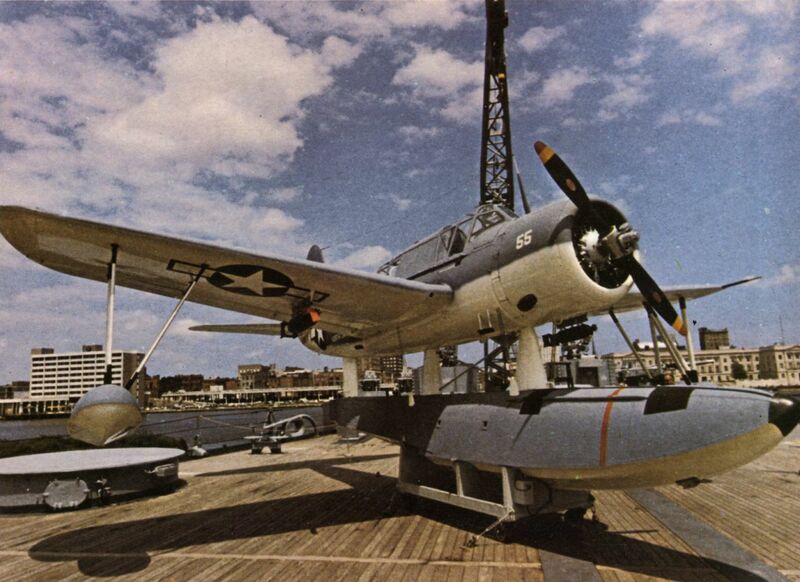 The OS2U-2 Kingfisher which is now displayed on the faintail of the battleship US North Carolina in Wilmington, NC. Wrecked in the fog on Calvert Island, British Columbia, in 1942, the aircraft was recovered 20 years later and restored by Vought company retirees in 1971. 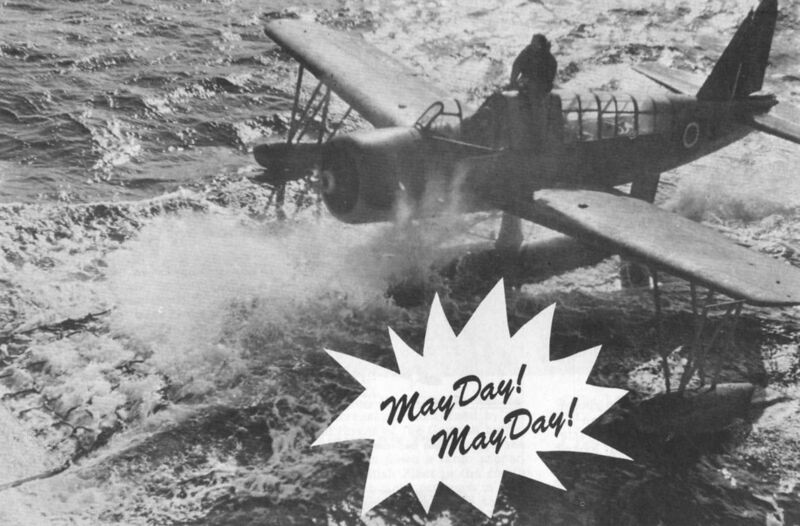 The dedication ceremonies aboard North Carolina were attended by the pilot and gunner. The first of them all, the XOS2U-1 Bu No 0951. 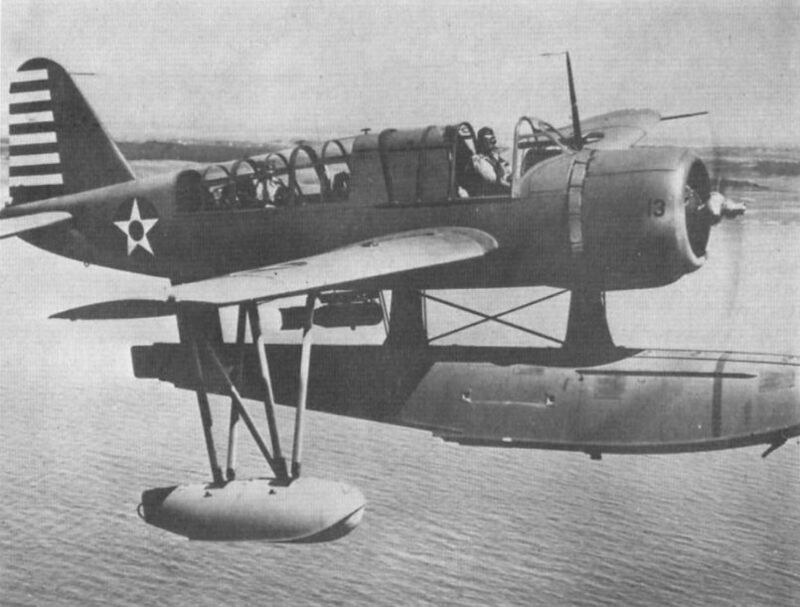 An OS2U-1 at Corpus Christi NAS, Texas, has a fresh-water shower bath to remove brine. 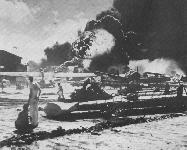 One of the historic shots taken during the Japanese raid on Pearl Harbor. A still-undamaged Kingfisher stands right of centre. 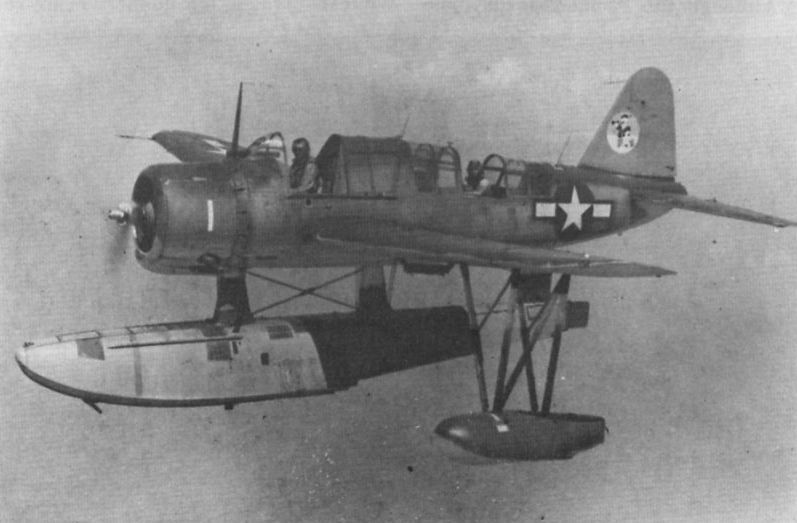 Personal markings were not so common on US Navy aircraft, but this OS2U has a telescope-equipped Donald Duck on its fin. A fine pre-war study of an OS2U-1 wearing the striped rudder and red-centred national insignia of the period. 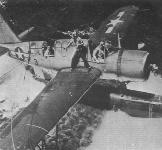 Note the 100lb bomb on the wing pylon. The hook beneath the main float was used to snag a rope sled towed by the parent ship. Seaman victims of a German U-boat attack off the US East Coast huddle on a Kingfisher’s wings after rescue from the Atlantic. The rescue of Lt (jg) George Blair of VF-9, Truk Atoll, May 18, 1944. 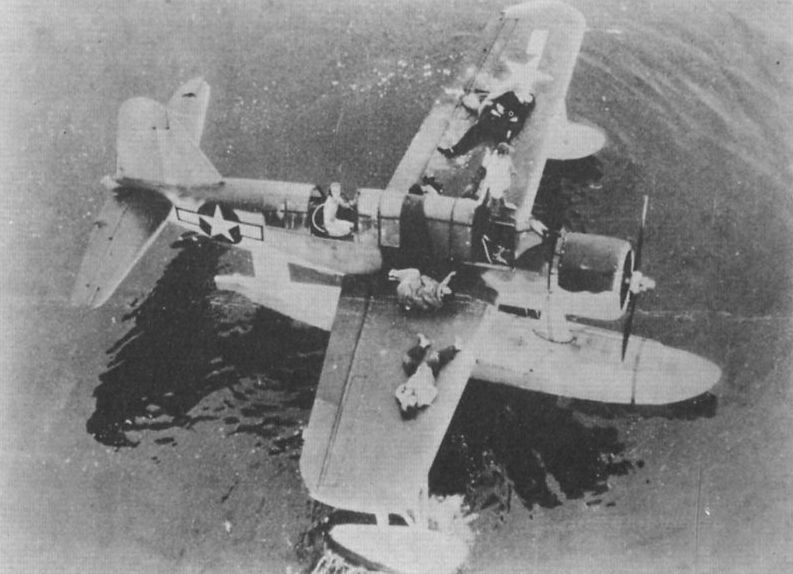 A Fleet Air Arm Kingfisher is recovered using the towed net system, 1945. A vic of Royal Australian Air Force OS2U-3s, with A48-17 nearest. 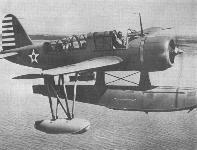 An early production OS2U-1 assigned to VO-3 aboard the battleship Mississippi in pre-war markings. 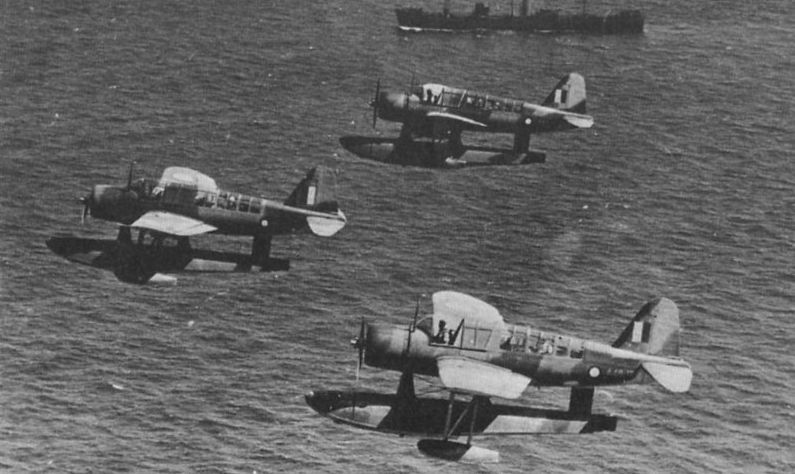 The sixth of the 100 Kingfishers for the Fleet Air Arm, FN656, photographed in April 1942. Seven of the ten naval pilots rescued by Lt (jg) John Burns off Truk Atoll during World War Two are taxied to the safety of the submarine Tang, which then sank his aircraft with gunfire.